Summer Serenade: Luchkow-Jarvis Duo | Oak Bay Music: Chamber Music Concerts Victoria B.C. 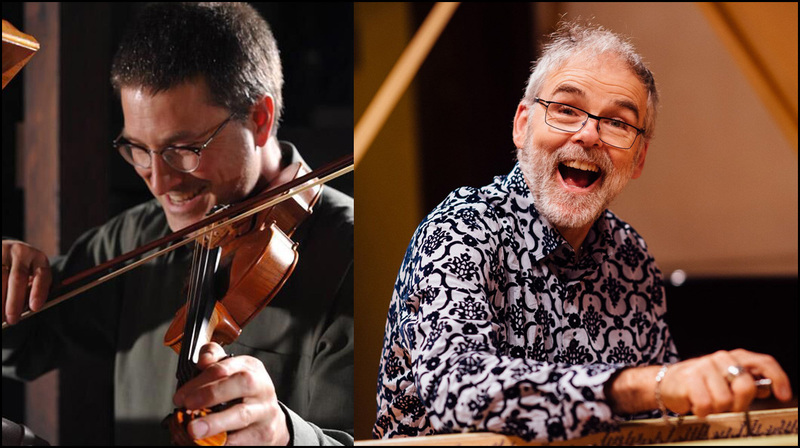 Violinist Paul Luchkow and harpsichordist Michael Jarvis celebrate their 10 year partnership performing and recording as the Luchkow-Jarvis Duo. The duo specializes in presenting repertoire for violin and keyboard on instruments appropriate to each historical period. For this special anniversary concert, a program of musical wonders of the 17th and 18th century by composers such as Leclaire, Handel, Pandolfi Mealli, Isabella Leonarda have been hand-picked.